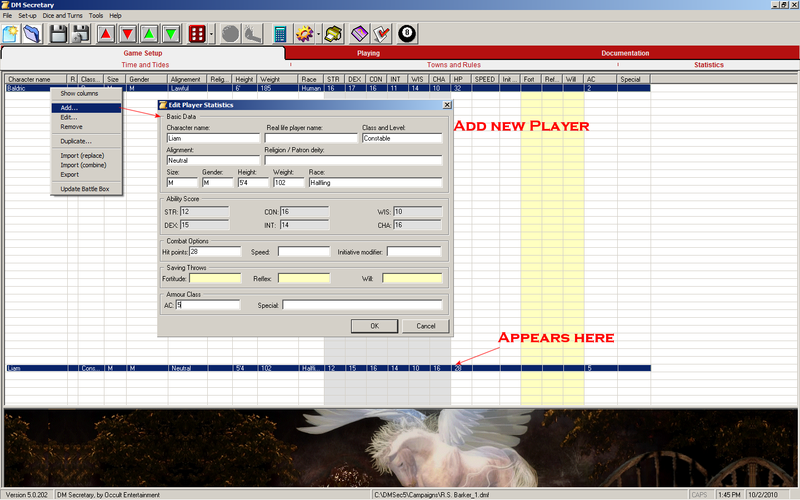 DM Secretary has an interesting interface, complete with tasty graphics, and a GUI that is quite intuitive. 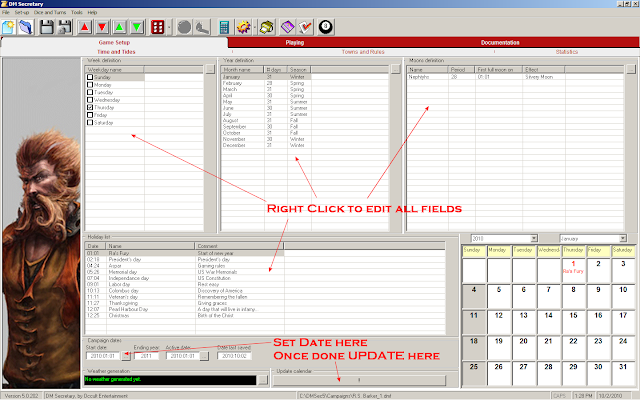 This tool has a multitude of options, chief among them is a campaign system that is flexible - setting up world features like day/week/year/calendar/moon phases and generating weather on the fly. 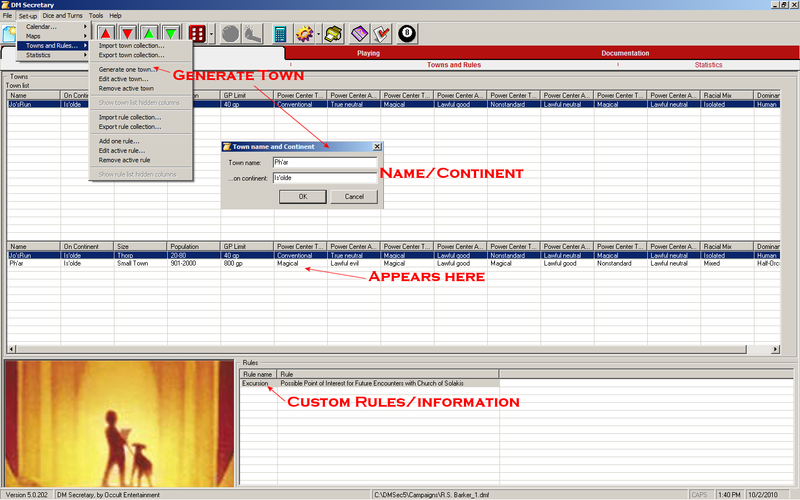 You can create a town step-by-step, or generate one in seconds and then alter it to fit your vision. 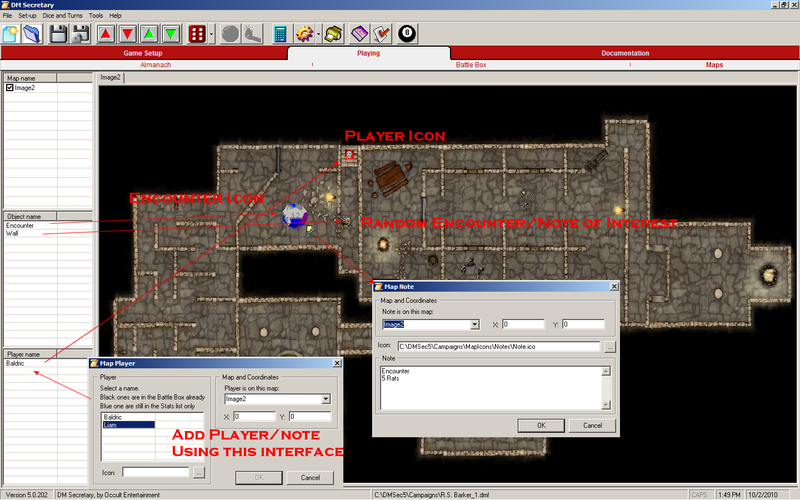 The same type of interface is used for PC/NPC design. This program, like DA: The Role Player's Assistant, has a map feature which allows you to import a map and add features/icons/notes/objects on the fly for quick and easy reference. One idea which struck me as solid was the ability to add a NPC then switch to the map and voila - they can be added to the map. Excellent conceptual design. 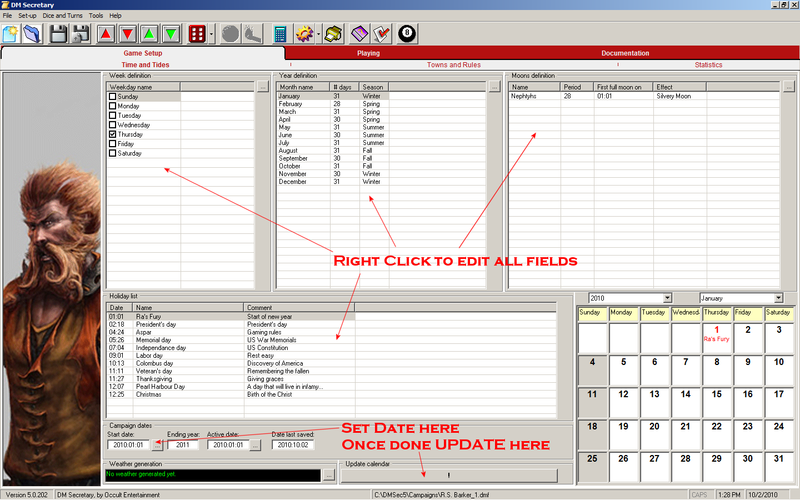 Next we come to the reference tab - herein you are able to import your own rules set in PDF/DOC/RTF formatting. You can add DM notes and even add in your own Web links. One way that I've used this program is to access offline web data I've collected - which is excellent for collections like a virtual DM Screen with all the charts. Lastly is the best feature (for me), a custom program feature to add in all those small executable that I use during a session. This one is solid and the best implementation I've seen. Overall, I give this program high marks for what it has, and while a monster generator is not included within the program, this is something I can overlook given the quality of DM Secretary.